GOMBAK, 5 April 2019 – Mental illness is something most people often do not take it seriously and assume that those suffering from mental illness like depression are attention seekers. 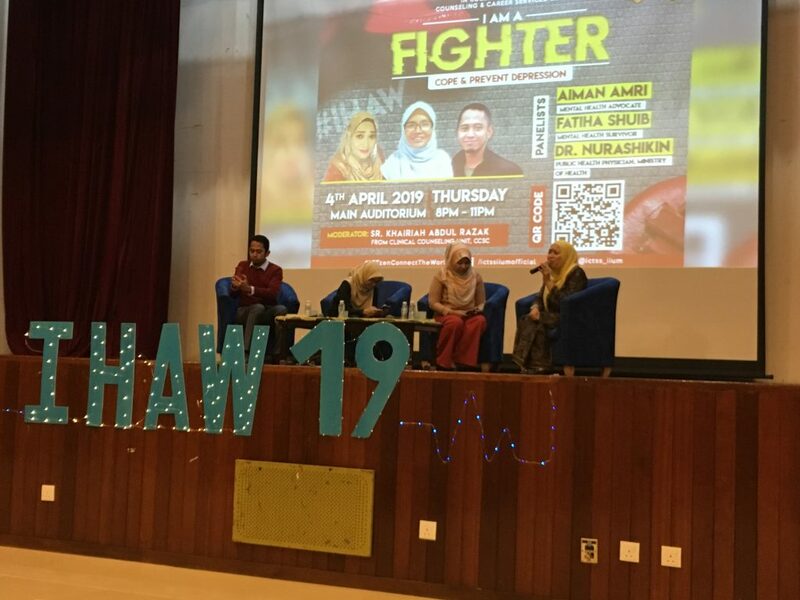 Hence, a Health Awareness Week was held in IIUM from 2 until 5 April to create awareness among students about mental health and how to cope and prevent from depression. It was organised by the Kulliyyah of Information and Communication Technology (ICT) in collaboration with Welfare Secretariat, Information and Communication Technology Students’ Society. 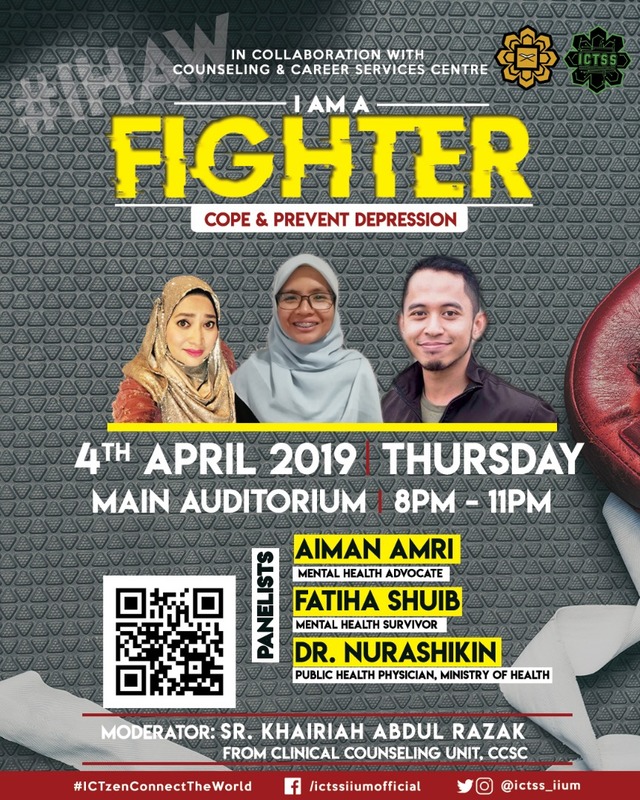 A forum held on Thursday (4 April) at Main Auditorium titled “I’m a Fighter” featured Aiman Amri, a mental health advocate, Fatiha Shuib, a mental health survivor, and Dr. Nurashikin Ibrahim, a specialist in public health medicine from Ministry of Health. Highlights of the forum was a discussion on how to cope and prevent depression. Speaking during officiating of the event, Asst. Prof. Dr. Nurzaliza Mohamad, who was the programme advisor of IIUM Health Awareness Week 2019, emphasised the benefits of such programme which she said focused on creating awareness on mental health among students. She expressed her gratitude to the students and committee members for organising this event and thanked the audience for the support that the event had received. Aiman Amri told the audience that he helped young people who are into social media to spread awareness about mental health. He defined mental illness as something emotional that involves pain and struggle. “Mental illness such as depression is something invisible but it does not indicate that depression is not real,” he added. Meanwhile, Fatiha Shuib, a mental health survivor shared her experience of fighting mental illness of bipolar nature. She claimed herself as a fighter and a mental health survivor. She confessed that she had confronted depression for seven to eight months and that medical treatment truly helped in fighting the depression. Dr. Nurashikin Ibrahim explained the symptoms of depression as some people cannot differentiate between severe stress and depression such as having thoughts of being useless and hopeless. It is crucial, she emphasised, for those who have symptoms of mental illness to seek professional help. 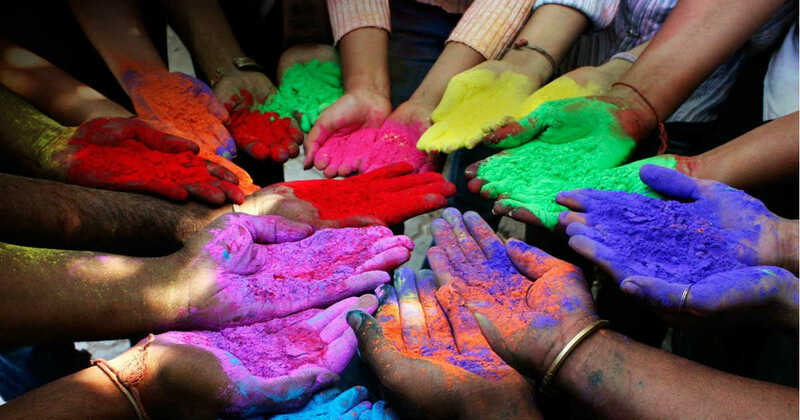 “It is also important to give social support to those who are fighting against mental illness by listening and giving response to their confession,” she said.